APPSeCONNECT is an iPaaS solution for the next generation of businesses. 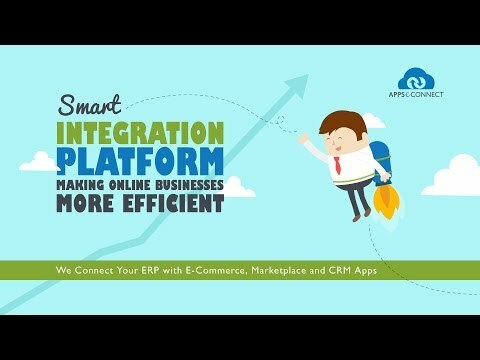 The unique architecture of this platform supports the principal processes of businesses applications by integrating Cloud platfroms, SaaS applications and on-premise systems. This solution helps businesses to take advantage of their existing systems, resources, along with their technologies and data. Moreover, it optimises your business operations, which in turn increases efficiency and productivity of enterprises. Below are some frequently asked questions for APPSeCONNECT. Q. What type of pricing plans does APPSeCONNECT offer? Q. Who are the typical users of APPSeCONNECT? Q. What languages does APPSeCONNECT support? Q. Does APPSeCONNECT support mobile devices? Q. Does APPSeCONNECT offer an API? No, APPSeCONNECT does not have an API available. Q. What other apps does APPSeCONNECT integrate with? Q. What level of support does APPSeCONNECT offer?